Although Linux always has been a diverse ecosystem, once upon a time, just a handful of Linux distributions, or distros, existed. Do you recall Yggrasil, Trans-Ameritech and the original S.u.S.E. (which begat SuSE, SUSE and openSUSE)? Today, literally hundreds of Linux flavors exist, each with its own unique offerings. How do you choose the right one for you and your needs? 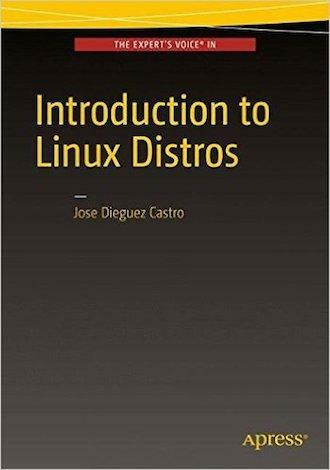 A new book called Introduction to Linux Distros by Jose Dieguez Castro explores the pros and cons of the most frequently used Linux distributions in a concise step-by-step manner, so users can avoid hours of web surfing, countless downloads and ample confusion by new concepts and complex and marathon installation guides. Readers will benefit from the author's long-term experience working hands-on with each distro. In the book, Dieguez Castro also discusses the idea of a Linux "distro" and why so many exist, the criteria for finding the right distro for one's needs, the various Linux "family trees" and their unique "philosophies", as well as how to install, maintain and obtain support for each distro. Introduction to Linux Distros is published by Apress.